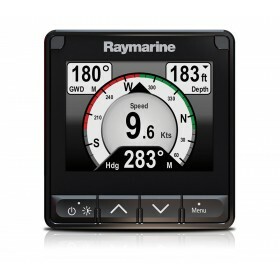 The RS150 GPS is a GPS sensor for Raymarine navigation systems. The RS150 offers fast 10Hz position updates and more precision. The antenna can be used to improve the reception of the Multifunction Display. Connected via wireless multifunction chartplotter series GPSMAP 7400 and 8400 or GNX Wind display to control numerous bordo2 sensors: speed, depth, temperature, wind and many others. 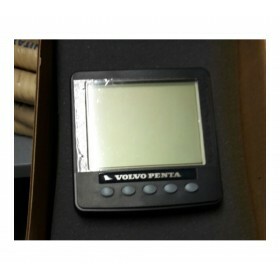 Volvo Penta display EVC 4"
Volvo Penta EVC display 4 "
Ideal for fishing enthusiasts who move from one boat to another, who use small boats, kayaks, canoes, or that fish from the docks. ECI-100 (Universal Engine and Control Interface - Universal motor data interface and autopilot control) is a practical and economical solution for connecting motors and drive-by-wire systems with Raymarine autopilots and navigation systems. The GND 10 Black box allows seamless integration between the tools and sensors Nexus and Garmin products, including transducers gWind ™, gWind ™ Wireless and gWind ™ Regatta. Its plug-and-play USB connectivity eliminates the need for settings and system configurations. GPS receivers 19x HVS are waterproof (IPX7) and designed to withstand all weather conditions. 19x NMEA 2000 GPS receivers are waterproof (IPX7) and designed to withstand all weather conditions.